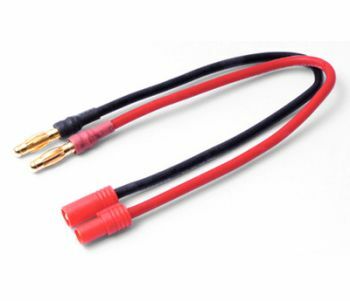 Charge cable for Hyperion LiFePO4 Packs that use standard connectors. 4mm male bullets on one end and Red Hyperion 3.5mm connector on the other end. See picture.